O.A.R. (Of A Revolution) is an alternative rock band which formed in Rockville, Maryland, United States in 1996. The band consists of Marc Roberge (vocals, guitar), Chris Culos (drums, percussion), Richard On (guitar, backing vocals), Benj Gershman (bass), and Jerry DePizzo (saxophone, guitar, backing vocals). The band has released seven albums: "The Wanderer" (1997), Soul’s Aflame (2000), "Risen" (2001), "In Between Now and Then" (2003), "Stories of a Stranger" (2005), "All Sides" (2008), and King (2011). 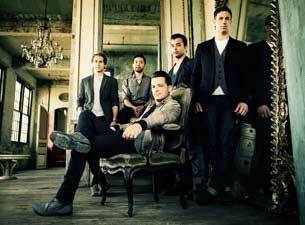 Read more about O.A.R. on Last.fm. Here are some industry leading presale databases we recommend you use if you're in need of a O.A.R. presale password to buy early tickets to see O.A.R. performing live. Getting your tickets early is a great way to get great seating and secure your tickets before they sell out during the public onsale. O.A.R. schedule, dates, tickets and presale info for O.A.R. Jacobs Pavilion Fast Lane Entry: O.A.R. Jacobs Pavilion VIP Club Access: O.A.R.